/ Modified sep 25, 2018 1:29 p.m.
UA Professor David Soren will have a new strain of olive named after him. 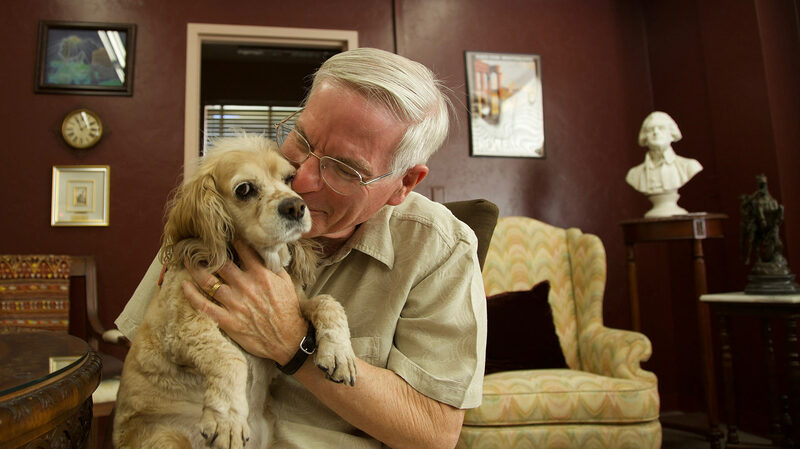 University of Arizona Professor David Soren, at right, and Lana. The two can sometimes be seen walking together on the UA campus. One University of Arizona professor’s work in Italy earned him honorary citizenship of that country in 1990, and now, a local government there is naming a new olive after him. “They’re actually creating or developing a new species of olive there. I thought it was very sweet, a very nice thing to do. I was very happy to receive that,” said Doctor David Soren. He's a professor of anthropology and classics, though his actual range of research interests defy departmental designations. Amid the long list of topics, he's explored ancient earthquakes and mega-disasters, under-recognized figures from Roman history, and even vaudeville and dance. “I have a number of interests, but I can't fix cars, for example. My wife can do that, but I can't," Soren said. "I’m very interested in popular culture and of forgotten people and places. And that's a pattern that runs across everything that I do." 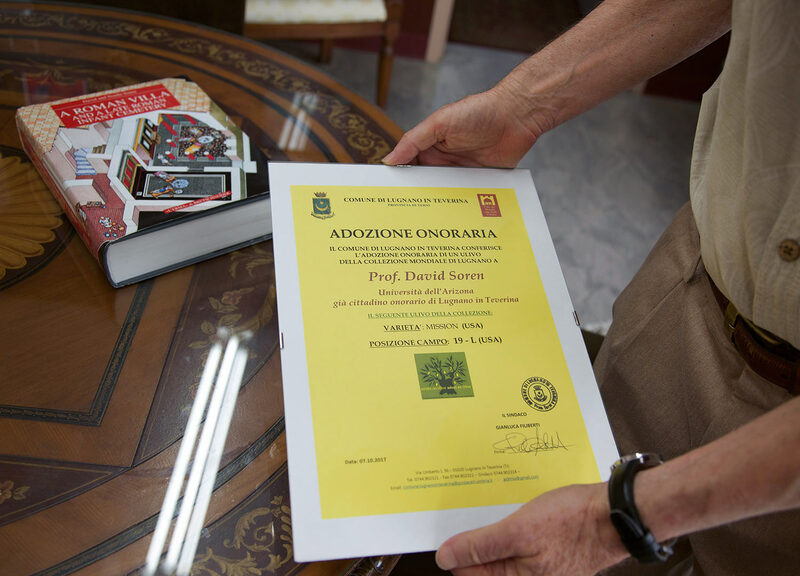 VIEW LARGER The certificate indicating the naming of a kind of olive in Lugnano in Teverina, Italy, after University of Arizona Professor David Soren. One thread of that work brought him to the Umbria region of Italy decades ago. His archaeological contributions and relationship with the small community of Lugnano has led the government there to put his name on a new variety of olive, a significant agricultural symbol in the region. These days, Soren is working on a project to restore a desanctified church in the town of Lugnano as an archaeological museum.